I found a wonderful “comfort food” recipe on Pinterest the other day. It was just perfect to prepare after being out in the cold temperatures – Chicken Cordon Bleu Casserole. It dawned on me, as I was making the dish, that the recipe called for cream of (something or other) soup. 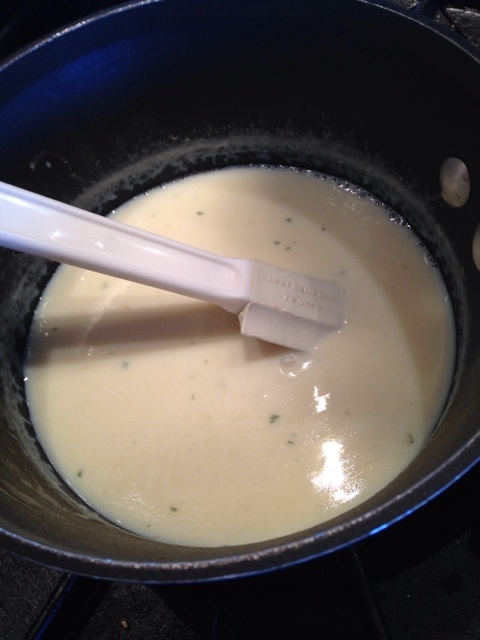 I've made my own white sauces for many years. It's easy and you can skip all of the preservatives and chemicals that the canned soups contain. 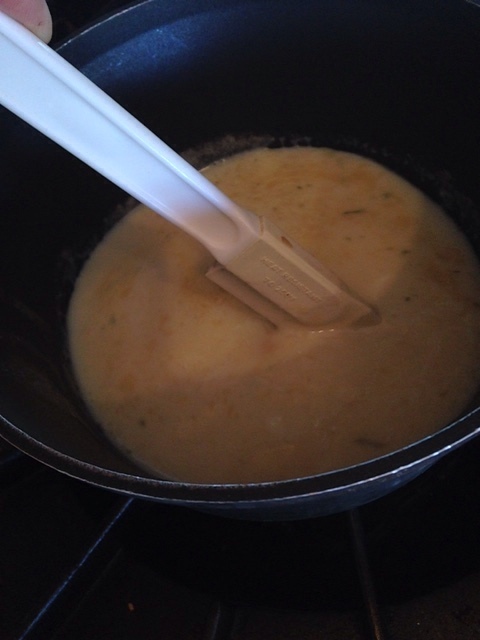 By simply using three simple ingredients and spending about five minutes of your time, you can create a “cream of” soup (white sauce) for your recipe. 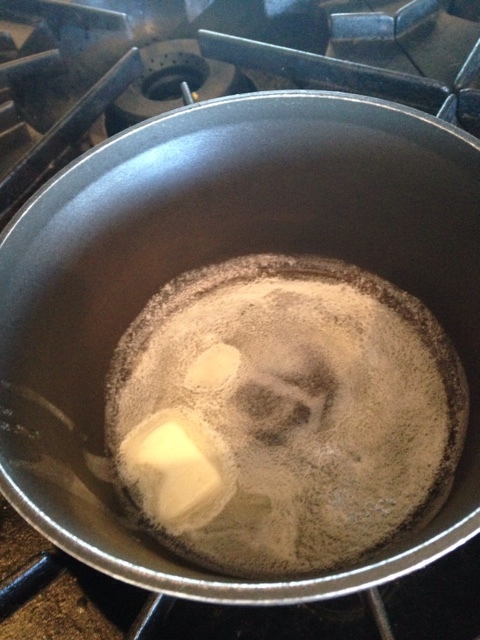 For a cup of white sauce (for creamed and scalloped dishes) simply melt 2 tablespoons of butter in a pan. 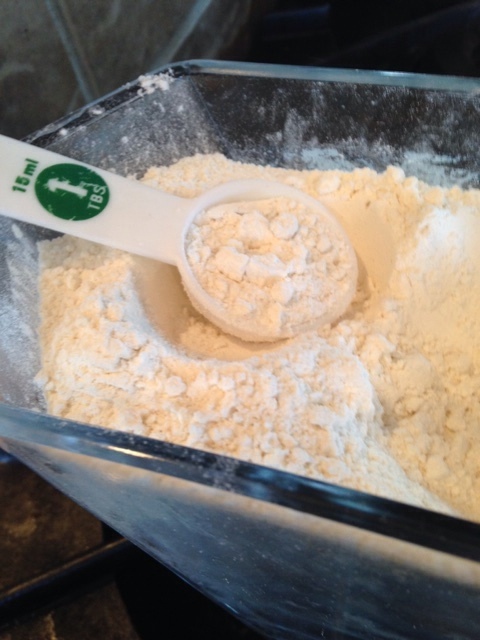 Blend in 2 tablespoons of flour, cooking over low heat and stirring until the mixture is smooth and bubbly. Remove it from the heat and stir in 1 cup of milk. Heat to boiling, stirring constantly for one minute. Done! Season as you wish with salt and pepper, etc. For two servings, I grilled two chicken breasts and sliced them in serving size pieces in the bottom of an 8 x 8 casserole dish. Then chop some deli-sliced ham and sprinkle over the top of the chicken, followed by thin sliced swiss cheese. Prepare your white sauce (recipe above) and when you bring it to its final boil after adding the milk, ADD a good squeeze of fresh lemon, a dollop of dijon mustard, some salt, smoked paprika and white pepper to the sauce. Stir to incorporate. Pour the sauce over your chicken mixture in the baking dish. Now, as if this recipe doesn't have enough comfort food calories, you finish the dish with a topping. Melt 1/2 stick of butter in a pan, add 1 cup of Panko crumbs, 1/2 teaspoon of Lawrys seasoning salt and a tablespoon of dried parsley. Combine and sprinkle over the chicken dish. I baked for 30 minutes until the sauce was bubbly and then stuck the dish under the broiler to finish those Panko breadcrumbs into a golden brown.